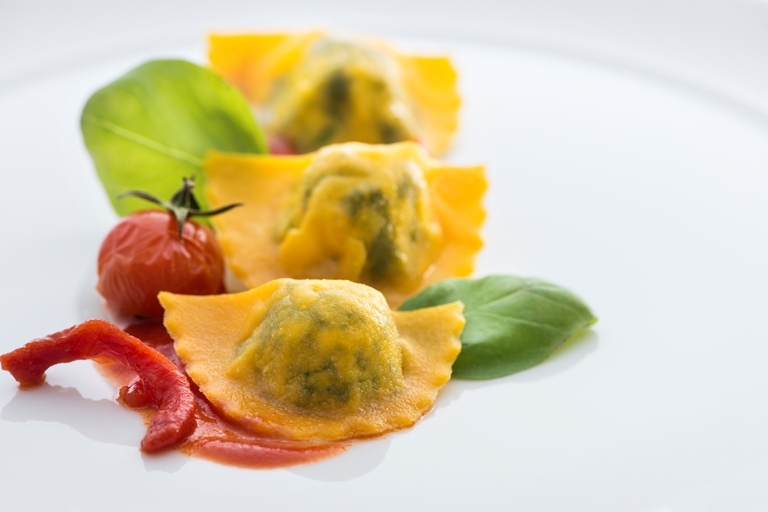 Chef Gaetano Trovato creates a delicious ravioli starter, using traditional flavours of ricotta, tomato and basil. If you don’t have a pasta machine, the dough can be made using a rolling pin. Trovato recommends using an aged Parmesan as it has a more intense flavour.